By injecting blood derived growth factors from your own blood, strategically into the skin of the face, this is a unique approach to reviving your beauty. 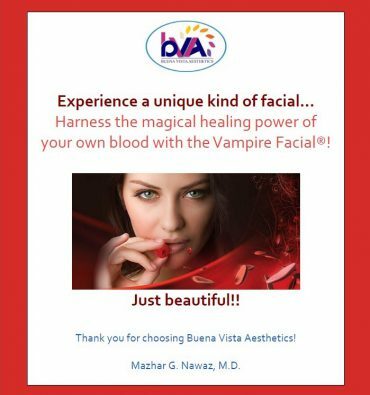 It will result in tightening, smoothing, and increasing blood flow to the tissues resulting in a more beautiful and radiant looking skin. 1. It is a 30 minute office procedure in which a small quantity of your own blood is taken from your arm after applying local anesthetic cream to numb the area. The blood is put in a centrifuge to separate the platelet rich plasma (PRP) from the red cells. 2. The local anesthetic cream is also applied to to your face for 20 minutes and PRP is injected strategically into the tissues of the face. 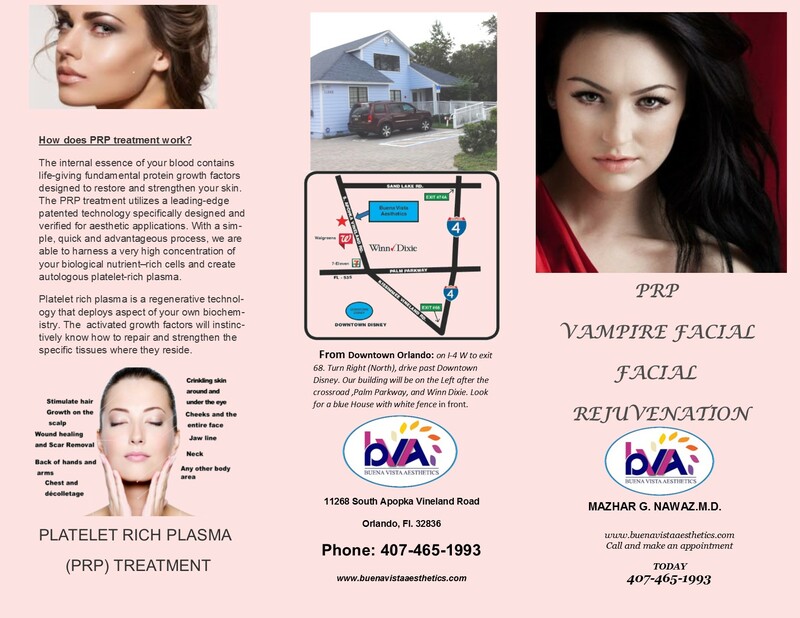 Alternatively, in case of Vampire Facial, it is applied to the face and micro needling is performed. The growth factors can grow new tissues and revitalize your skin. Youthful volume can be restored to a beautiful new skin over the next 6-12 weeks. 3. The treatment can be repeated 2-3 times every four months for even better results. 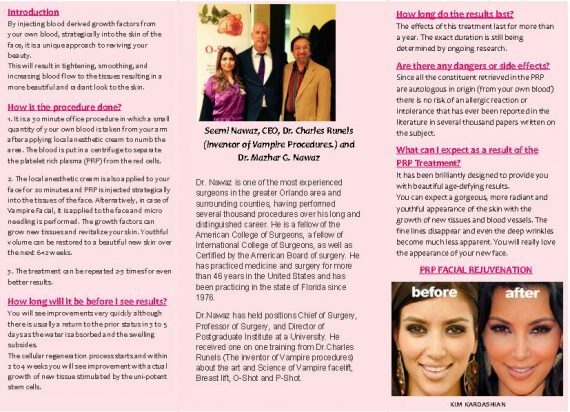 You will see improvements very quickly although there is usually a return to the prior status in 3 to 5 days as the water is absorbed and the swelling subsides. The cellular regeneration process starts and within 2 to 4 weeks you will see improvement with actual grown of new tissue stimulated by the uni-potent stem cells. 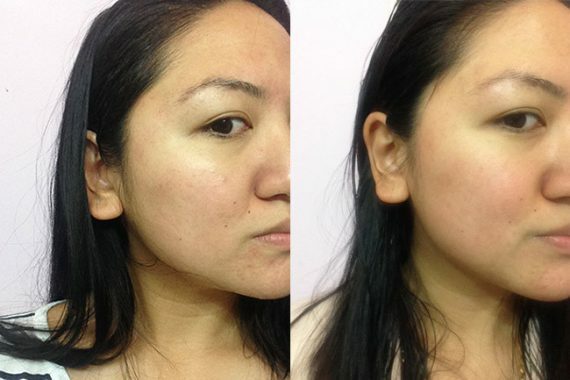 The full effect of the treatment occurs after four months. The effects of this treatment last for up to two years. Since all the constituent retrieved in the PRP are autologous in origin (from your own blood) there is no risk of an allergic reaction or intolerance that has ever been reported in the literature in several thousand papers written on the subject. Was can I expect as a result of the PRP Treatment? It has been brilliantly designed to provide you with beautiful age-defying results. 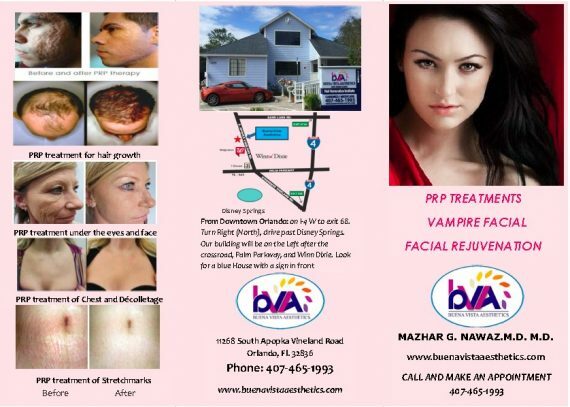 You can expect a gorgeous, more radiant and youthful appearance of the skin with the growth of new tissues and blood vessels. 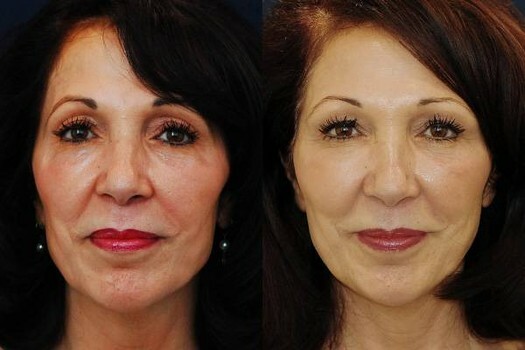 The fine lines disappear and even the deep wrinkles become much less apparent. It will improve hyper-pigmentation, freckles and melanoma. You will really love the appearance of your new face.